Take Exit 24 for Route 30 West. Follow Route 30 for 2.5 miles. At the next major traffic light, continue straight and take the second left (very sharp left) onto Winter Street. Follow Winter Street for 1/8 mile. At the stop sign, turn right. Wightman is just around the corner, located at 100 Brown Street. Take Exit 15 for I-95 / 128 and Route 30 Weston. Proceed through the left hand toll booth for Weston. At the end of the ramp, go right onto Park Road. At the end of Park Road, go left onto Route 30 West. At the next major traffic light, continue straight and take the second left (very sharp left) onto Winter Street. Follow Winter Street for 1/8 mile. At the stop sign, turn right. 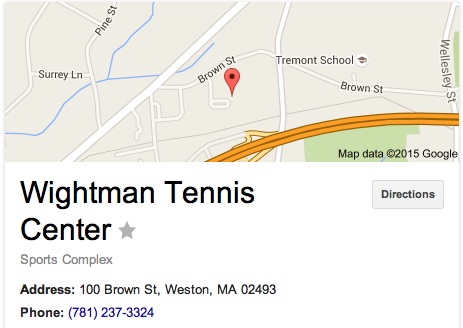 Wightman is just around the corner, located at 100 Brown Street.